History didn’t repeat itself. The young Roger Federer defeated Pete Sampras in an epic five set match back in 2001, but the Swiss maestro prevented such repetition from occurring Friday night in Basel. The five time Swiss Indoors champion ironically started off the match a bit edgy, needing to recover from a love 40 hold immediately to stay even. Dimitrov showed no signs of nerves at the start, requiring the experienced Swiss to come up with something special, which he did. At 3 all, the two engaged in a versatile rally, creating angles and producing shots in near identical form. Federer would break, and with the momentum, he broke once more to seal the first set in his favor. Dimitrov bounced back in the second set, breaking early on and maintaining his gap until the latter stages, but not before the Swiss had other ideas. With the Bulgarian serving for the set, Federer broke emphatically, and the two headed to a tiebreak. Aggression was the strategy from the Swiss star, who would dominate his way in the end, defeating Dimitrov 6-3 7-6 (2). 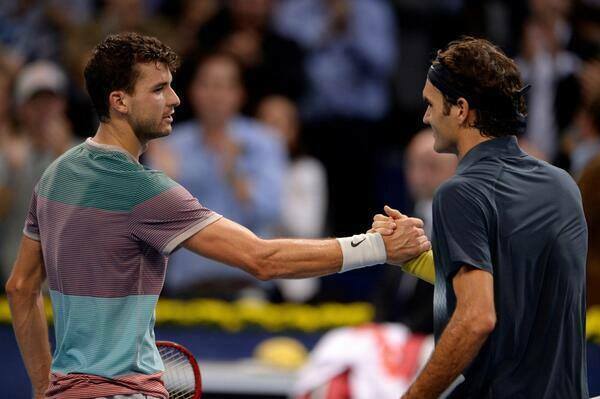 Federer will face Vasek Posposil in Saturday’s semifinals (second after Del Potro vs Roger-Vasselin, 2:30pm in Basel). 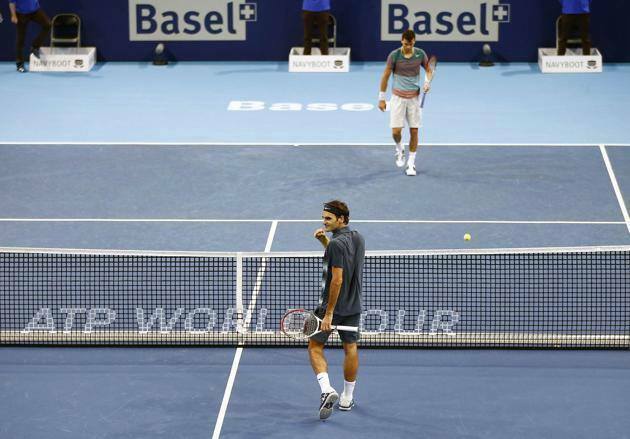 Watch full coverage of the 2013 Swiss Indoors on FF07tv.